This is Going to Blow Your Mind. Mount Everest Is, in Fact, Not the Highest Summit on the Earth. When you think about the highest mountain in the world, your mind probably journeys to Mount Everest. And on one hand, yes, Mount Everest is the point of highest elevation above sea level. However, when measuring from the center of the Earth, Everest is not the highest summit. Do you feel as though you have been lied to your entire life? When measured from the Earth’s core, Mount Chimborazo takes the prize for being the highest point on the earth. So, if you are interested in standing on the planet’s closest point to outer space, then pack your bags (and bring plenty of layers) because we are going to Ecuador. At 3,968 miles from the center of the Earth, nowhere else in the world will you be able to reach closer to the stars, moon, and space than the summit of Mount Chimborazo in central Ecuador. Let’s break this down for all those wondering how Chimborazo could be higher than Everest. The Earth is not a perfect sphere. *More brain blasts. * While from space the Earth appears round, it is not a perfect circle. Around the equator, the planet bulges outward. Because of this, anyone located on the bulge is already closer to outer space than those not located on the bulge. Make sense? This has caused Mount Chimborazo to reach higher in the sky than any other mountain in the world. As an inactive volcano, Chimborazo stands at an impressive elevation of 20,565 feet. The mountain is dressed in snow and ice, making it a picturesque destination for beauty-seeking travelers. But at Chimborazo, travelers can opt to do more than just taking photos. Those wishing the trek to the top of Mount Chimborazo can do so if they have some technical climbing experience. However, those with less experience don’t have to feel left out. There are trails that take hikers to specific elevations on the mountain, and these hikes are perfect for those wanting a less strenuous adventure. Those uninterested in climbing the mountain altogether, but still desiring to lay their eyes on Chimborazo can do so as well. It is a beautiful mountain that deserves admiration. Should you decide to climb Mount Chimborazo, there are a number of tours that travelers can go on as they explore the Andes and journey to the summit of Chimborazo. While the mountain is climbable year-round, the best months to climb are June and July and December through January. There are also day hikes available that go up to the second refuge for travelers who don’t have the technical experience to go to the top. Whichever trek you decide to go on, you will want to bring layers of warm clothes. Pack your gloves, scarves, and hats as you ascend up the mountain. Comfortable hiking shoes for the day hikers will be necessary as well. Oh, and plenty of water and snacks to fuel your journey. The high altitude conditions will be something to take into consideration before you set off on your journey. The altitude can be a challenge for even the most experienced of climbers and hikers. You are, of course, rising to the highest point on the face of the earth. Located at the foot of Mount Chimborazo, this homey lodge provides a perfect atmosphere and preparation space for climbers. 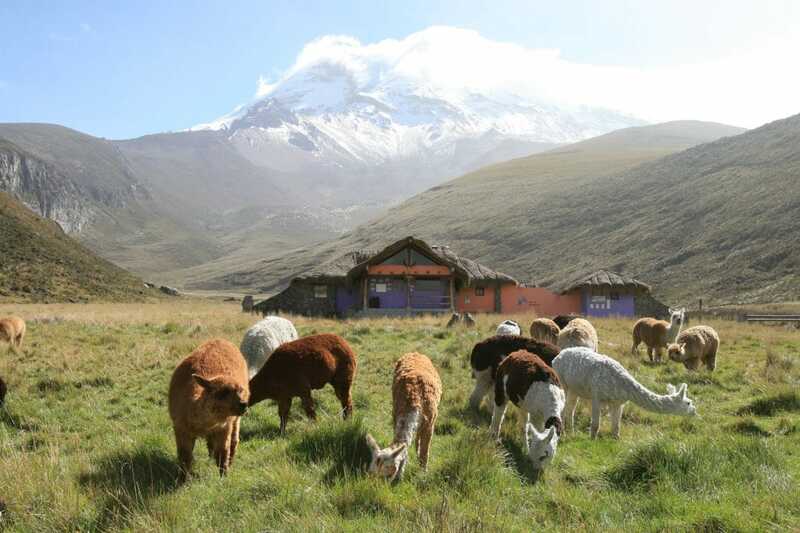 In fact, it is the only property located within the Chimborazo Natural Reserve. With temperatures constantly dropping outside, travelers will feel cozy and warm indoors at Estrella del Chimborazo. Some professional mountain climbers begin their journey at this lodge, yet even amateur hikers are welcome to will find comfort here. Breakfast and dinner are included and there is a great chance that you will meet the owner and famous mountain climber, Marco Cruz, during your stay. Friendly service, proximity to the mountain, comfortable accommodations, and a fireplace to warm your frozen body. Estrella del Chimborazo has it all. You simply cannot beat it. From the property, the panoramic views are magical. 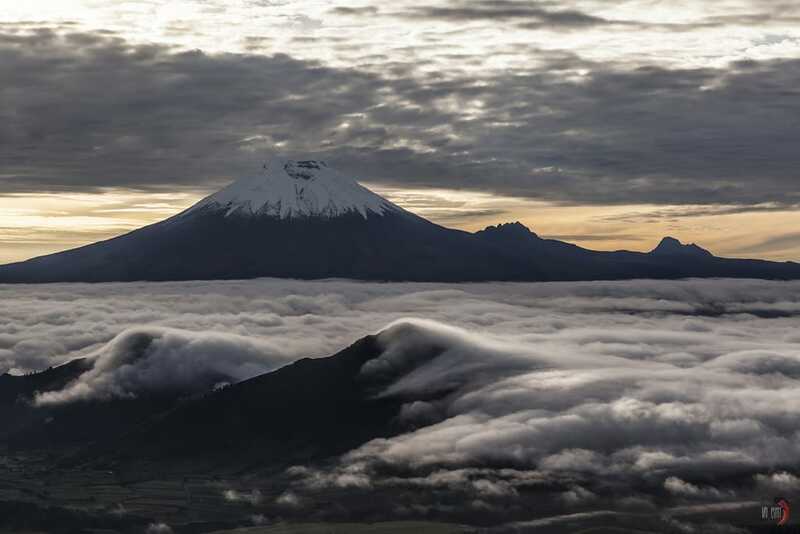 When clouds roll back, travelers will receive a view like no other of the volcano. Original, secluded, comfortable, and full of good feels, we highly recommend a stay at Estrella del Chimborazo when adventuring to the mountain. Guests can even rent equipment from the lodge before they set off towards Mount Chimborazo. This wood cabin, located slightly over 20 miles from Riobamba, is a true mountain retreat. The nearest town to Mount Chimborazo is Riobamba, Ecuador. Should you decide to stay on the outskirts of the mountain, then Riobamba is the place to look for hotels. The town has a plethora of accommodations to choose from. Some of our top picks include Mansion Santa Isabella, Hacienda Abraspungo, and Hosteria La Andaluza. All three provide guests with free wifi. Post-hike or post-climb, travelers can share with family and friends all of the beautiful images they captured. These three hotels each also have unique charm, friendly staff, and comfortable rooms. Bunking in Riobamba also allows plenty of opportunities to explore the town itself. There are many restaurants to dine in, stores to shop in, and museums to walk through. From Riobamba, travelers will have a clear view of Mount Chimborazo peeking (and peaking) up in the distance. Come to Ecuador. Come to Mount Chimborazo. 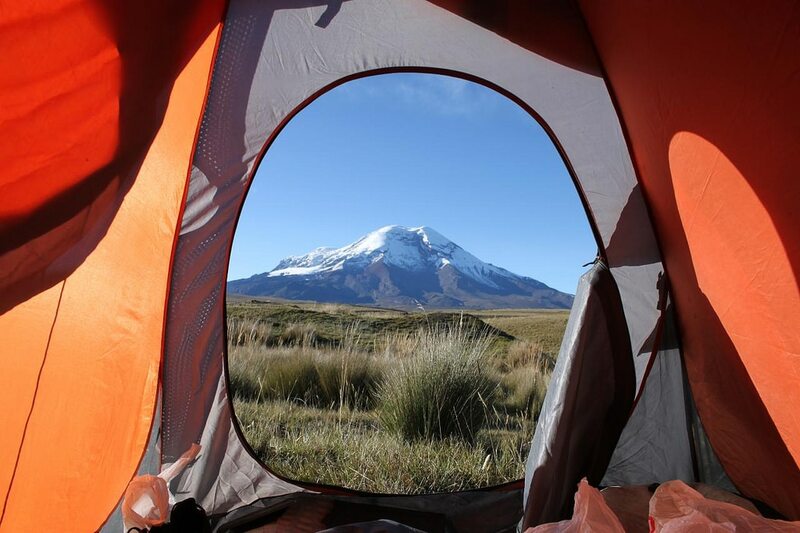 The pristine mountain range of Chimborazo should be on your bucket list if it isn’t already. The icy and snow-capped peak of Chimborazo is a marvel. Whether you decide to stand at the tipity-top of the mountain, hike to the second refuge, or stay at the base and admire the beauty, we know you will create incredible memories at Chimborazo. Those wanting to touch the stars must come see this Ecuadorian mountain. You will find no other place in the world that is closer to outer space than Chimborazo. For that reason alone, let a trip to Chimborazo rise to the top of your bucket list and make central Ecuador your next vacation destination. Active travelers must visit Chimborazo for a thrilling and adventurous time. Those who have been to Mount Chimborazo before, we want to hear about your trip in the comments section below!